Broadcast at 18.47 on Tues 8 July 2014 as the introduction to a report on the legacy of the Tour de France, which passed through Cambridge on 7 July. 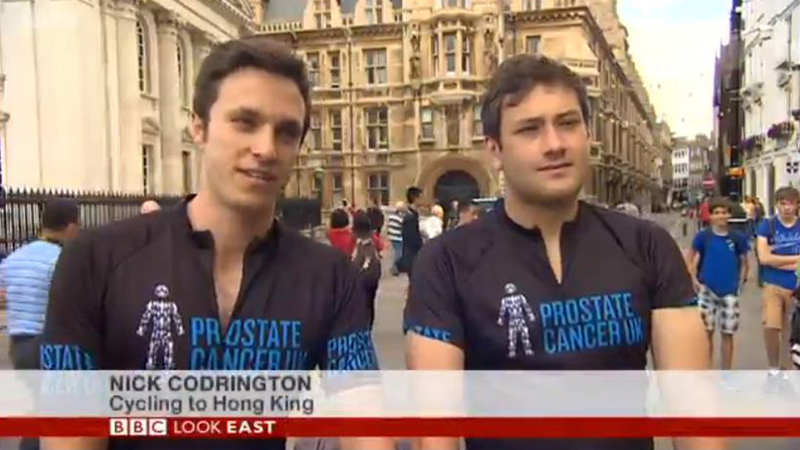 Nick Codrington and Will Lord in Prostate Cancer UK shirts with their bikes, interviewed near the Senate House and filmed as they started off. 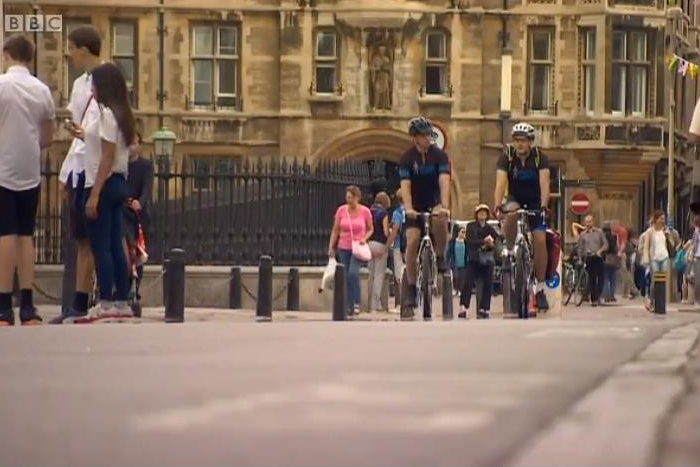 Jonathan Park, BBC: Yesterday 200 cyclists left Cambridge for London. Today just two riders are prepared for the same journey, but Paris is not the final destination. Nick Codrington: We’re going to recreate the Tour de France stage that happened yesterday and bike from Cambridge to London. That’s going to be start of our longer trip, which is Cambridge to Hong Kong. JP: Cambridge students William and Nick’s 9-month trip to the Far East is perhaps not typical, but the huge crowds watching the Tour de France proved that cycling is now box office. ….